“Ask and you will receive; seek and you will find; knock and the door will be opened to you. For everyone who asks, receives; and the one who seeks, finds; and to the one who knocks, the door will be opened” (Mt. 7:7-8). 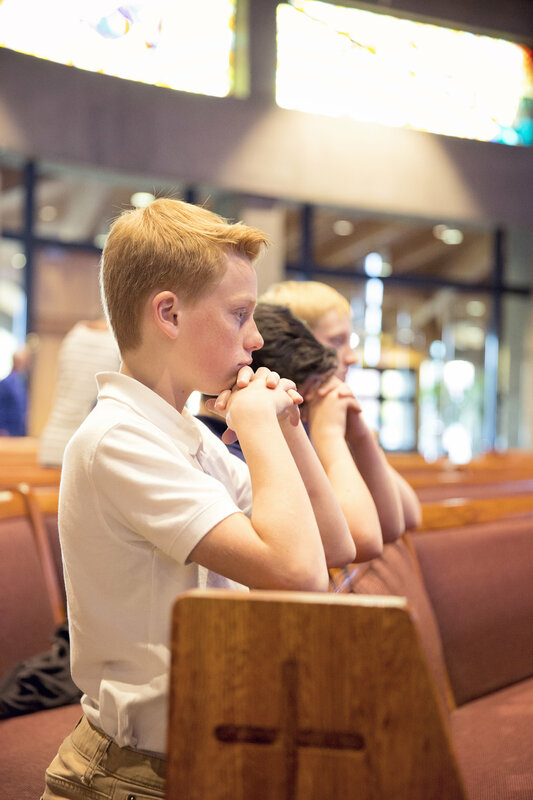 Here at St. Francis of Assisi Catholic School we understand the importance of prayer in the spiritual formation of a child and provide a Christ-centered education that focuses on the formation of the whole child; spiritually, intellectually, physically and emotionally. Each school day begins and ends with prayer, placing every child in touch with God, their creator who loves them unconditionally. We believe prayer is the foundation and springboard to success when combined with hard work. Prayers of praise, thanksgiving, intercession open the minds and hearts of our students, both mentally and vocally to God’s plan for their lives. Prayer instills in them a love for God and neighbor.